Yes, that’s a toilet she is carrying around. It’s been one of those days. Pass the coffee, please! We found a loving preschool for Jackson to attend a couple of days per week this Fall, he talks about school every day so I know he will love it! Your vacation looked amazing! Glad you all made it back in one piece and safety. I give you a TON of credit for flying alone with the littles. A TON! 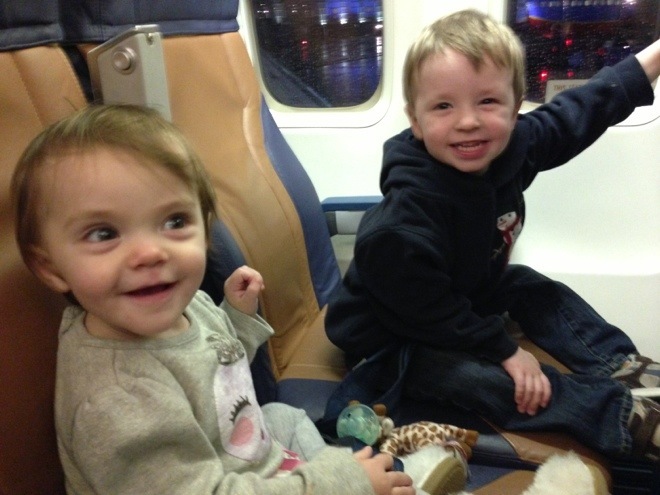 You are a total rockstar super momma for traveling alone w 2 little ones…I struggled w. one. 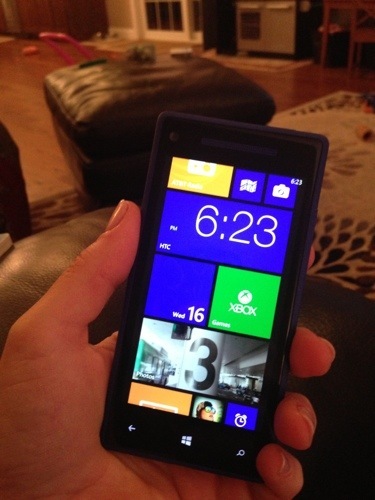 That phone looks awesome, I thought of getting a windows phone but wasn’t sure how I would like it after being an iPhone lover for awhile! Is it too late to do this? I want to join in next Thursday! I aim to live gratefully – what a great series of posts and bloggers! xoxo! I love Thankful Thursday. I have to link my post! I can’t believe you did that trip with two toddlers. I had the hardest time going with two and my husband. YOu are a rockstar!Cant wait to hear about your phone! Can’t wait to hear about the phone! I think you need a spa day (weekend?) after traveling across the country alone with two toddlers! You’re doing a kickbutt job and thank goodness your pedi knows that! You new phone looks amazing… can’t wait to read more! It’s great to find all the good stuff among all the CRAZY!! I would NEVER take my kids on a plane by myself, good for you.